1956 S.O.S. Scouring Pads original vintage advertisement. Cleans and shines white wall tires really white. 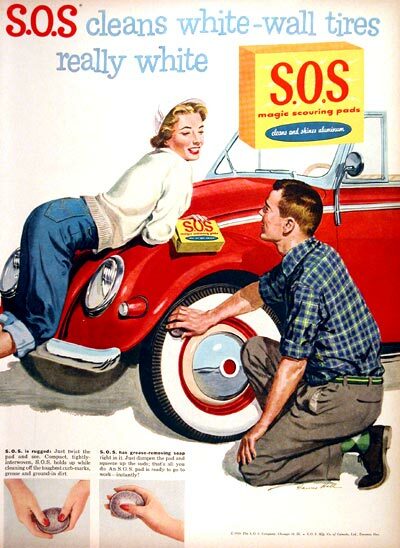 Shown at work on a '56 VW Beetle Convertible.